﻿ Best Price on Chabil Mar in Placencia + Reviews! Located right on Placencia Beach, Chabil Mar features an outdoor pool, a bar-restaurant and stylish villas with partial or full sea views. Free transportation to and from Placencia Airport is included. Each individually decorated Chabil Mar villa features air conditioning, a flat-screen TV, a full kitchen and a furnished terrace. The bathrooms include a hairdryer and a bathrobe. Free Wi-Fi is available throughout the property. Chabil Mar’s front desk provides luggage storage and information about activities in the surrounding area. 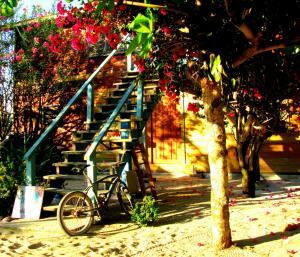 The property has free on-site parking and free bikes for guests to use. Local restaurants are within a 15-minute walk of the property. The town of Dangriga is 48 miles away, and Belize City is 137 miles away.